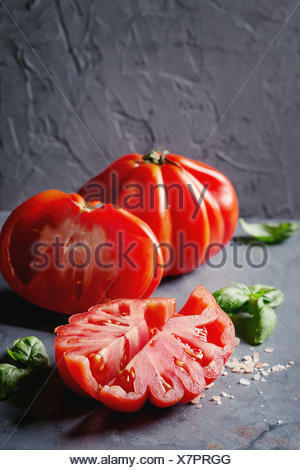 Whole and sliced organic tomatoes Coeur De Boeuf. 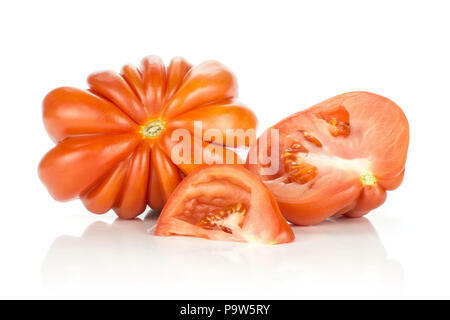 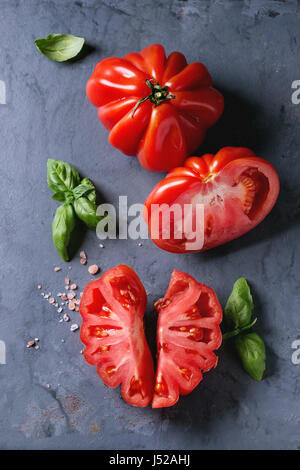 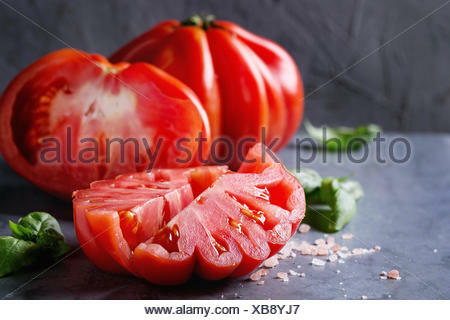 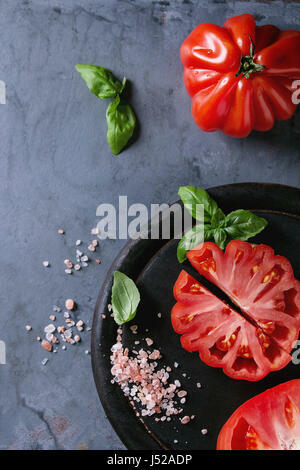 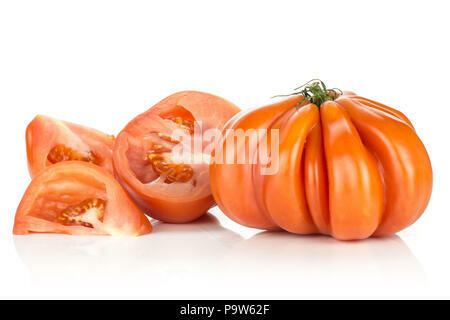 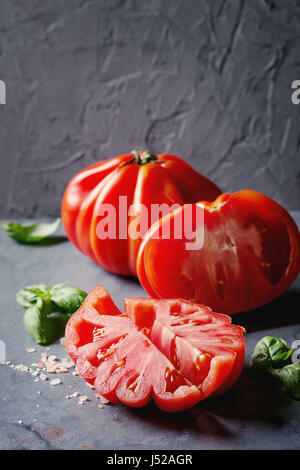 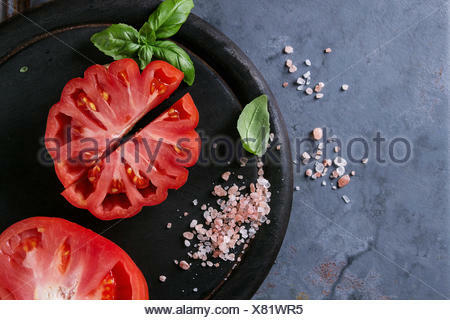 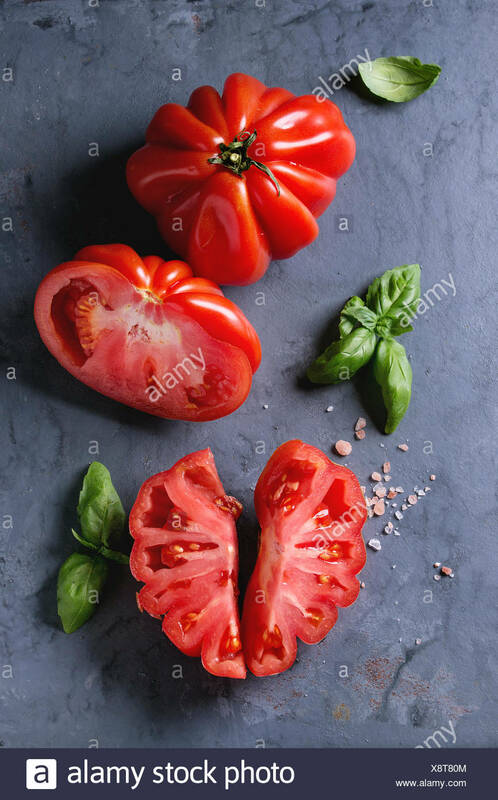 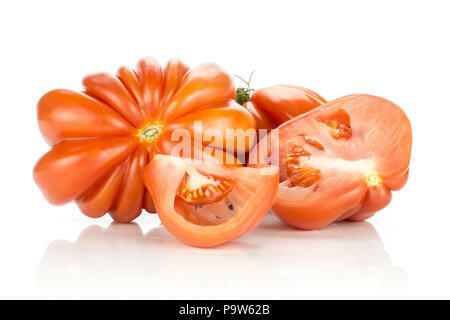 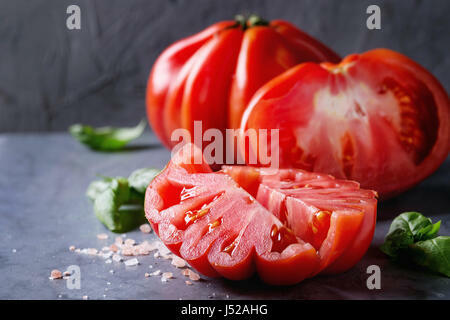 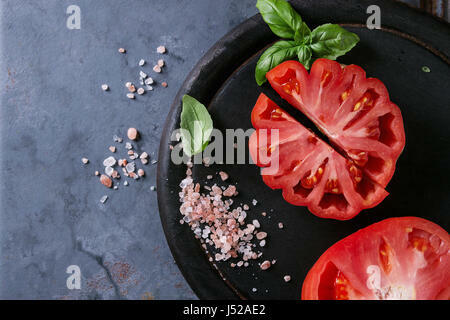 Beefsteak tomato with pink salt and basil on blue gray metal texture background. 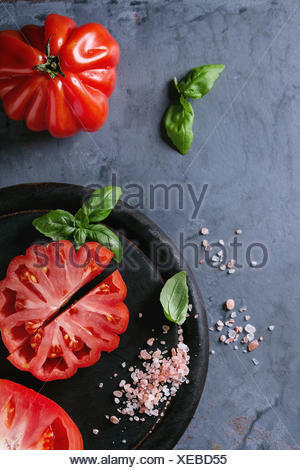 Top view with space.